Do you have special plans for Mother's Day? I know I'll be gathered around the dining room table with my family, and I hope that you'll feel extra treasured this Sunday too! 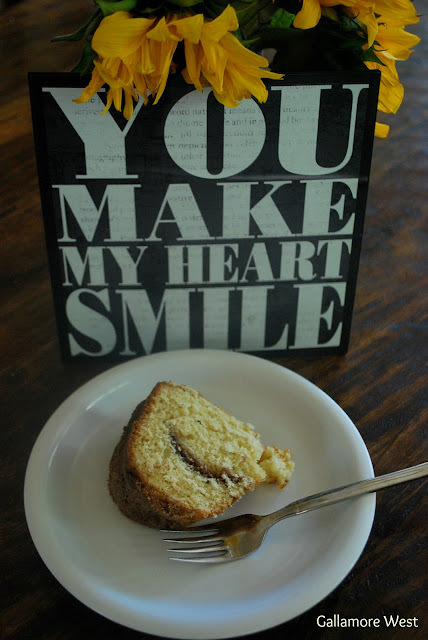 Here's a perfect Coffee Cake recipe to make the Mom in your life feel extra special this Mother's Day. I love this Coffee Cake because it's easy to put together and it tastes amazing, but it looks like it took forever. Also, I'm always running around like a chicken with my head cut off with these four little boys we have, so this is a great make-ahead-the-night-before-and-still-tastes-amazing-in-the-morning recipe :) I make it for birthdays, Christmas morning, and other special occasions. But Moms, hand this recipe to your husband and/or kids and let them do the baking for you this time! Preheat oven to 350 degrees. Prepare baking pan with nonstick cooking spray. I like to bake it in a bundt pan. Cream butter and sugar in stand mixer until light and fluffy, about 4-5 minutes. Add in eggs one at a time until well blended. Mix in yogurt & vanilla extract. In a separate bowl, combine dry ingredients- sifted flour, baking power, baking soda, and salt. Fold dry ingredients into wet ingredients and mix until well combined. Sprinkle half of the crumble in the BOTTOM of prepared pan. Gently pour half of the batter on top of crumble layer. Sprinkle the other half of the crumble topping on top of batter, then gently pour in the remaining batter. Bake for 50 minutes or until lightly brown and a toothpick comes out almost clean (a little batter on it is good in my opinion, so it won't be dry). Cool completely on cooling rack. Gently run a knife around the edges, then carefully invert onto a cake stand or pretty plate. Enjoy!! 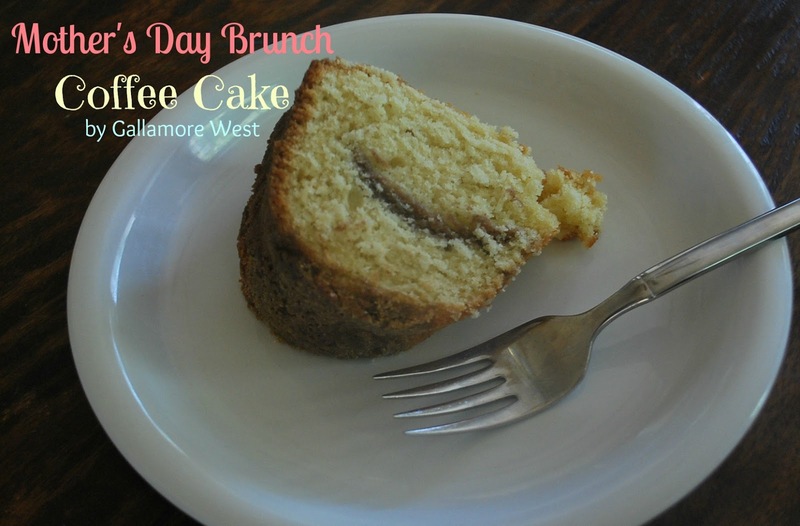 I'll be sharing my Mother's Day Brunch Coffee Cake at Tatertots & Jello's Weekend Wrap Up Party!